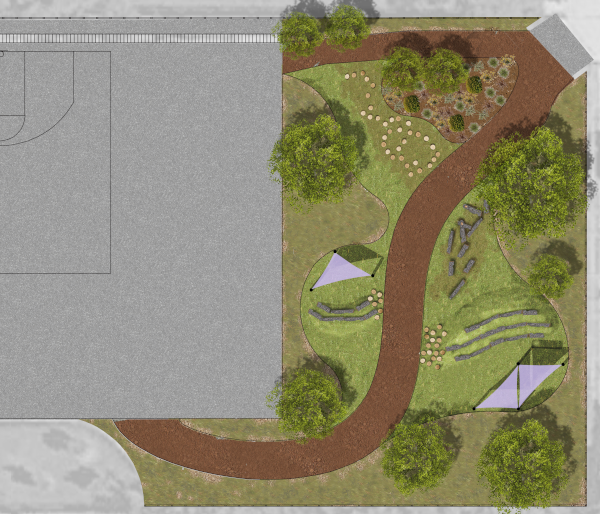 The plan calls for removing more than a quarter of the schoolyard’s asphalt, replacing it with green space and a mixed-use recreation and educational space (an outdoor classroom). 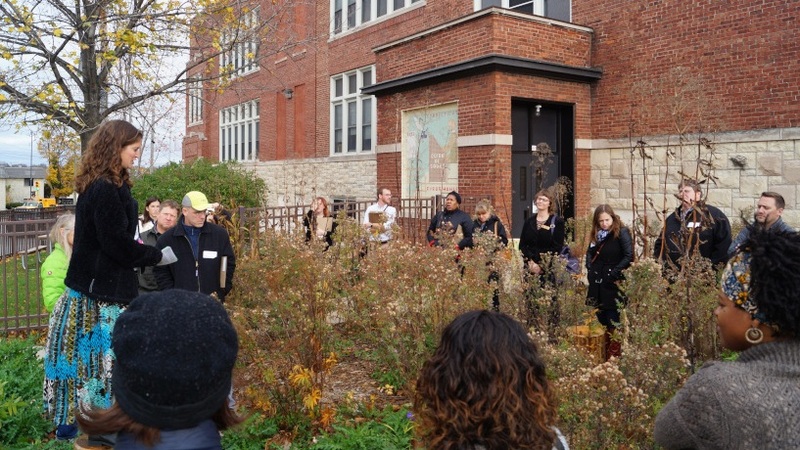 Because of Hawley’s successful gardening program, the plan also incorporates additional raised-bed planters and rain gardens. Student-created signage throughout the school grounds will identify the schoolyard’s green infrastructure. A proposed underground cistern will be artistically represented in the kickball field above it so that every time students run the bases they are reminded of the hidden infrastructure underfoot. The plan also features no-mow grass, sun sails, shade trees, and a greenwall system for plants to climb. Review the school’s conceptual plan in greater detail, including designs, cost estimates, curricular connections, and maintenance considerations. Check back soon for the latest meeting notes as an embedded Prezi. The redesigned schoolyard replaces some asphalt with a curvilinear footpath and miscellaneous sun shades among tree plantings. A stormwater cistern underneath a grass kickball field is also proposed.